G20 HOCKEY GAME .. ACTIVISTS vs COPS Oh how lame!! 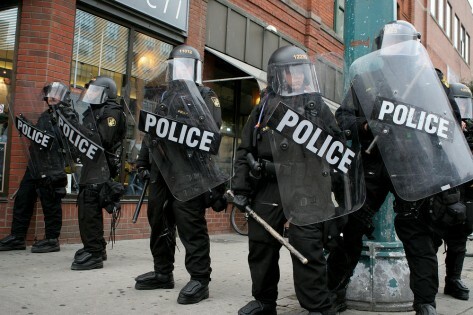 | TORONTO'S FIRST "Cop Watch"
G20 HOCKEY GAME .. ACTIVISTS vs COPS Oh how lame!! Oh.. Please Pfft… you don’t believe for one single minute we can become friends overnight do you?.. What it needs to happen to restore the faith in the force is firing all those BAD cops who are on payroll with the Toronto Police. Enough of defending their cases in the courts.. at taxpayer’s expenses… when they are all gone from the force then we can talk about being “friends”. until then Good Luck and Happy trails! !